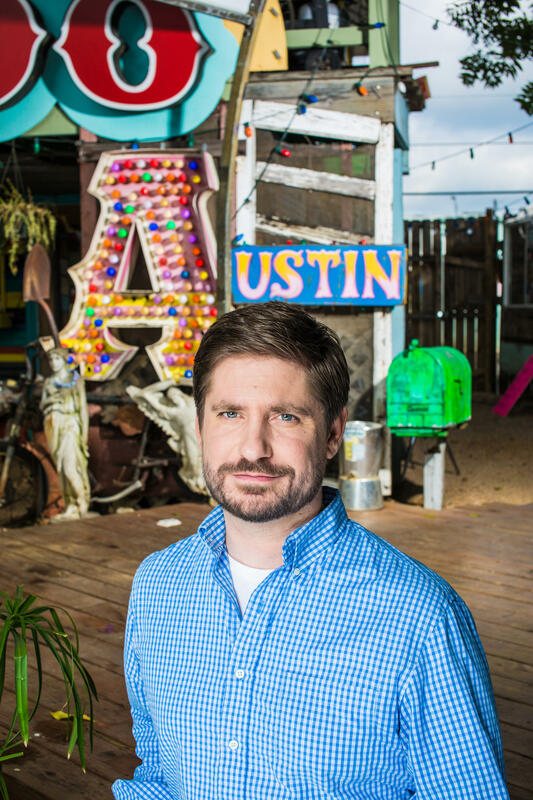 Comedian Brian Gaar has been performing standup in Austin and around the country for years now, and as of a few months ago, he's also a late night TV host. His show, ATX Uncensored(ish), has been airing since the end of September on the CW in Austin. What's the like? "After four months, I think we're still trying to figure that out," he laughs. "It's a late night comedy show, so it's very topical, and it's very focused on Austin." That (along with a much smaller budget and staff) is what sets Gaar's show apart from national programs like The Daily Show or Last Week with John Oliver: its focus on Austin and Central Texas as a target for comedy. "There's always just sort of strange things going on," Gaar says, "so for a comedy show, it's really great." In addition to the nightly TV broadcasts, ATX Uncensored(ish) is now branching out into monthly live tapings at the Cap City Comedy Club. Those live shows have so far been mostly standup showcases, but Gaar is hoping to incorporate more elements from the TV show as the live performances go on. See ATX Uncensored(ish) nightly at 9:45 on the CW, and live at the Cap City Comedy Club on February 23. This month, Austin will host the second annual OUTsider Festival. The fest, which will last five days, aims to celebrate the diverse nature of the LBGTQI creative community. Granite sculptor Jesús Moroles was a large figure in the Texas arts community, well known for both his enormous artworks and his enormous energy and generosity. Among his many awards, he received a United States National Medal of Arts in 2008. His untimely death in an automobile accident last year was a shock and a large blow to his friends at the Umlauf Sculpture Garden. Since November, they've been hosting a tribute to Moroles, displaying many of his works. The exhibit, simply titled Jesús Moroles: A Tribute, was put together by two of Moroles' closest associates, his sister Suzanna and her husband Kurt Kangas, who was Moroles' right hand man. They've tried to put together a showing that would make the artist proud. "I think he would be pleased," Kangas says, adding "You know, doing this without him is difficult. It's very bittersweet, it is. But it's an honor also." This weekend, the Institution Theater will unveil the sixth installment in their "Jukebox Musical Project," which combines a historical period or event with the music of a popular entertainer with no apparent connection to that event. The Institution's Asaf Ronen was inspired to create the project after seeing a youtube video created by actress Rachel Bloom using the music of Sugar Ray. "As is my wont," he remembers, "when I see someone else do something, I want to do something like it." Inspired to create jukebox musicals that would combine "a historical event and an artist that shouldn't appear in that historical event," Ronen quickly noticed the flaw in his plan: creating a show based on history would necessitate doing some research, and as Ronen says, "I hate doing research. And I was like 'what writers do I know that would love to do this and are really strong writers?'." Enter Courtney Hopkin, who says she loves researching. "One of my favorite things to do is just read long, boring books about historical events, so it really worked out for me."